Two explosions have rocked the Moscow Metro this morning, claiming dozens of dead and injured. The first explosion happened in a carriage at the central Lubyanka underground station and has claimed the lives of 26 people, with more injured, informs RIA Novosti news agency. 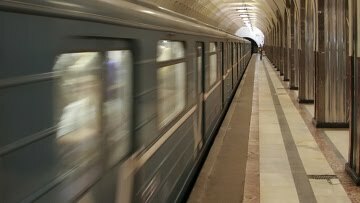 The second blast happened at the Park Kultury Metro station in the third carriage of a train. 15 or more people are reported to be dead, the quantity of injured is unknown. According to Russia’s Emergency Ministry, the first explosion presumably happened in the second carriage of a Metro train stopped at the Lubyanka station in the very center of Moscow, only several hundred meters from the Kremlin. At 9:30am Moscow Time, the Emergencies Ministry gave the number of casualties as 20 killed and 11 wounded on Lubyanka station and 12 killed and 7 wounded at Park Kultury station. Rescuers are working at both scenes. The explosions happened during rush hour. Both Lubyanka and Park Kultury stations are very busy interchange stations, with many people there at any given time, particularly on Monday morning. It is hard to make any assumptions right now but some reports say the explosions were carried out by suicide bombers. Meanwhile, all train services have been suspended on the Moscow Metro system for the time being, with security services on high alert. A criminal investigation into a terrorist act has been initiated. “Probably there have been leaks on terror acts being planned in Moscow because there have been very strong armed patrols in Moscow for the past five or six days,” he said. “What has happened is a shock, but not a cause for panic. We have seen it before,” Linnik added. April 20, 1989, two homemade explosive devices were found and neutralized on the circle line, one at Pavelyetskaya to the south and the other at Prospekt Mira to the north. February, 6, 2004 marked the biggest Moscow Metro blast so far, with about 40 casualties and hundreds injured on the green line. This was between Paveletskaya and Avtozavodskaya just to the south of the circle line. This entry was posted in Explosion on March 29, 2010 by admin. Please post the Vitas' MV of "Mommy and Son" in memory of them. Thanx. Thank you very much, Tatianna! This incredible song made me cry… I even published different versions of it in my two blogs.